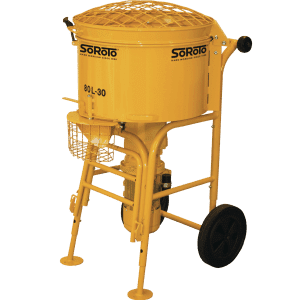 SoRoTo Mixers are the original Forced Action Mixers and still the best in their field. 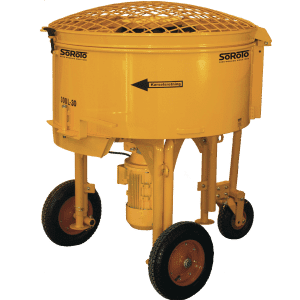 With thousands of units sold worldwide, the 40L is a fantastic mixer. Powered by a specially selected 110V/0.75kW motor it produces 30 RPMs to help create the perfect mix from its first time to its very last. Suitable for a number of uses, from Resin Bound to Wet Concrete to Liquid Screed and Wet Pour Rubber. 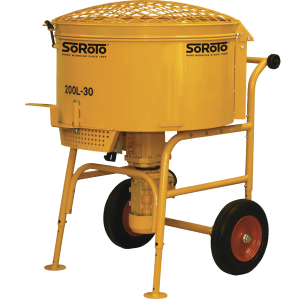 The SoRoTo 40L will deliver a consistent mix every time thanks to its specialised mixer arms. 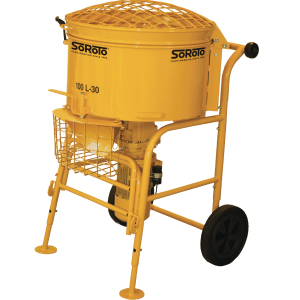 The SoRoTo 40L was initially created with inside tiling and masonry work in mind but was soon being used for many more mixes. It is suitable for masonry mortar, concrete, screed, tile adhesive, resin bound gravel surfacing, epoxy resin, grouting and wet pour rubber. We are delighted to be the only service and repair centre in the UK. Should you need a your mixer maintained or a spare part then please do get in touch. Call one of our Specialist Sales Team on 01246 589010 today to discuss your needs.